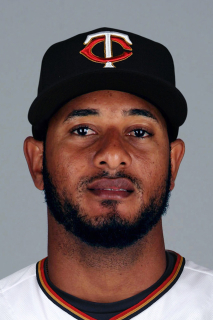 February 27, 2019 2B Jordany Valdespin assigned to Minnesota Twins. February 4, 2019 Minnesota Twins signed free agent 2B Jordany Valdespin to a minor league contract. February 4, 2019 2B Jordany Valdespin assigned to Rochester Red Wings. January 27, 2019 2B Jordany Valdespin assigned to Dominican Republic. October 13, 2018 OF Jordany Valdespin assigned to Toros del Este. December 26, 2017 OF Jordany Valdespin assigned to Leones del Escogido. October 31, 2017 OF Jordany Valdespin assigned to Estrellas Orientales. July 5, 2017 Olmecas de Tabasco released 2B Jordany Valdespin. April 21, 2017 Olmecas de Tabasco signed free agent 2B Jordany Valdespin. April 18, 2017 Leones de Yucatan released 2B Jordany Valdespin. February 2, 2017 Leones de Yucatan signed free agent 2B Jordany Valdespin. December 27, 2016 2B Jordany Valdespin assigned to Aguilas del Zulia. November 7, 2016 2B Jordany Valdespin elected free agency. October 20, 2016 2B Jordany Valdespin assigned to Estrellas Orientales. March 2, 2016 OF Jordany Valdespin assigned to Detroit Tigers. December 23, 2015 2B Jordany Valdespin assigned to Toledo Mud Hens. December 21, 2015 Detroit Tigers signed free agent LF Jordany Valdespin to a minor league contract. August 4, 2015 New Orleans Zephyrs released LF Jordany Valdespin. July 13, 2015 Miami Marlins sent LF Jordany Valdespin outright to New Orleans Zephyrs. July 11, 2015 Miami Marlins designated LF Jordany Valdespin for assignment. July 6, 2015 Miami Marlins selected the contract of LF Jordany Valdespin from New Orleans Zephyrs. May 21, 2015 New Orleans Zephyrs activated LF Jordany Valdespin from the 7-day disabled list. October 16, 2014 OF Jordany Valdespin assigned to Estrellas de Oriente. October 10, 2014 Miami Marlins sent OF Jordany Valdespin outright to New Orleans Zephyrs. July 19, 2014 Miami Marlins selected the contract of Jordany Valdespin from New Orleans Zephyrs. June 20, 2014 New Orleans Zephyrs activated 2B Jordany Valdespin from the 7-day disabled list. June 13, 2014 New Orleans Zephyrs placed 2B Jordany Valdespin on the 7-day disabled list. May 2, 2014 New Orleans Zephyrs activated 2B Jordany Valdespin from the restricted list. April 3, 2014 2B Jordany Valdespin assigned to New Orleans Zephyrs from New Orleans Zephyrs. December 20, 2013 Miami Marlins signed free agent CF Jordany Valdespin to a minor league contract. December 2, 2013 CF Jordany Valdespin elected free agency. October 18, 2013 OF Jordany Valdespin assigned to Tigres del Licey. September 30, 2013 New York Mets recalled CF Jordany Valdespin from Las Vegas 51s. September 24, 2013 New York Mets reassigned CF Jordany Valdespin to the minor leagues. August 5, 2013 New York Mets placed CF Jordany Valdespin on the restricted list. August 5, 2013 Jordany Valdespin roster status changed by Las Vegas 51s. August 4, 2013 Jordany Valdespin roster status changed by Las Vegas 51s. August 1, 2013 CF Jordany Valdespin roster status changed by Las Vegas 51s. July 14, 2013 New York Mets optioned CF Jordany Valdespin to Las Vegas 51s. May 6, 2013 CF Jordany Valdespin assigned to Las Vegas 51s. February 1, 2013 OF Jordany Valdespin assigned to Dominican Republic. December 26, 2012 2B Jordany Valdespin transferred to Leones del Escogido from Tigres del Licey. September 4, 2012 New York Mets recalled Jordany Valdespin from Buffalo Bisons. August 26, 2012 New York Mets optioned Jordany Valdespin to Buffalo Bisons. July 4, 2012 New York Mets recalled Jordany Valdespin from Buffalo Bisons. July 4, 2012 Jordany Valdespin roster status changed by New York Mets. June 24, 2012 New York Mets optioned Jordany Valdespin to Buffalo Bisons. May 30, 2012 New York Mets recalled Jordany Valdespin from Buffalo Bisons. May 19, 2012 New York Mets optioned Jordany Valdespin to Buffalo Bisons. May 7, 2012 New York Mets recalled Jordany Valdespin from Buffalo Bisons. May 6, 2012 New York Mets optioned Jordany Valdespin to Buffalo Bisons. April 23, 2012 New York Mets recalled Jordany Valdespin from Buffalo Bisons. April 23, 2012 Buffalo Bisons placed 2B Jordany Valdespin on the reserve list. March 29, 2012 New York Mets optioned 2B Jordany Valdespin to Buffalo Bisons. September 30, 2011 Jordany Valdespin roster status changed by New York Mets. August 10, 2011 SS Jordany Valdespin assigned to Buffalo Bisons from Binghamton Mets. March 11, 2011 New York Mets optioned Jordany Valdespin to Binghamton Mets. November 19, 2010 New York Mets selected the contract of Jordany Valdespin from Binghamton Mets. August 31, 2010 Jordany Valdespin assigned to Mesa Solar Sox. August 8, 2010 Jordany Valdespin assigned to Binghamton Mets from St. Lucie Mets. July 28, 2010 Jordany Valdespin roster status changed by St. Lucie Mets. July 22, 2010 2B Jordany Valdespin suspended. May 29, 2010 St. Lucie Mets activated 2B Jordany Valdespin from the 7-day disabled list. April 23, 2010 St. Lucie Mets placed SS Jordany Valdespin on the 7-day disabled list. April 8, 2010 SS Jordany Valdespin assigned to St. Lucie Mets from Brooklyn Cyclones. March 21, 2010 2B Jordany Valdespin assigned to New York Mets. October 16, 2009 Jordany Valdespin assigned to Tigres del Licey. August 19, 2009 Jordany Valdespin assigned to Brooklyn Cyclones from GCL Mets. August 12, 2009 Jordany Valdespin assigned to GCL Mets from DSL Mets. August 3, 2009 Jordany Valdespin assigned to DSL Mets. May 9, 2009 2B Jordany Valdespin assigned to Savannah Sand Gnats from GCL Mets. April 28, 2009 Jordany Valdespin assigned to GCL Mets from Savannah Sand Gnats.